Opentaps, short for Open Source Enterprise Applications Suite, is an integrated ERP solution with a full CRM feature set including warehouse and inventory management, supply chain, finance, business intelligence, e-commerce, POS, and mobility (Figure 2). 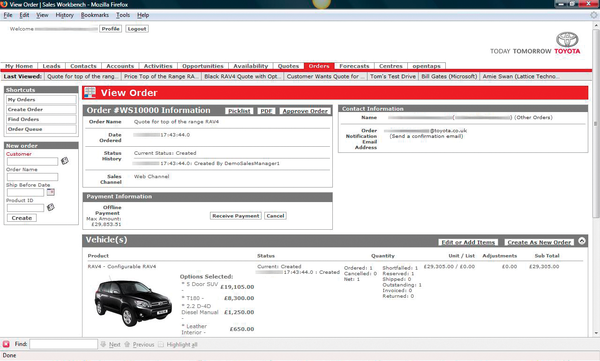 Figure 2: The opentaps ERP software used by Toyota Great Britain (source: opentaps). Opentaps was originally launched as a module for Apache OFBiz with the aim of expanding the functionality of the open source framework to include an ERP/CRM suite. Opentaps combines Apache OFBiz with an object-oriented, domain-driven architecture based on Java J2EE. Current versions of opentaps include Apache OFBiz, as well as the Apache Tomcat and Apache Geronimo servers. The particular advantages of opentaps compared with Apache OFBiz include functions related to user authentication (using LDAP and Kerberos SSO), data security (SSL support, OWASP, and the encryption of critical company data), and accounting. Opentaps also impresses with sophisticated functionality in the fields of customer service/CRM, order management, inventory, procurement, planning, budgeting, and finance. Last but not least, the opentaps user interface offers significantly better usability than the OFBiz framework. The now very popular opentaps ERP/CRM software also comes with many well-thought-out features. For example, parts of production can be outsourced in the short term to external manufacturing contractors in case of unpredictable resource bottlenecks – in the scope of multistage manufacturing processes. Thankfully, the developers of opentaps have not attempted to reinvent the wheel. In the area of business intelligence, opentaps relies on the also open source Pentaho system and the open source JasperReports software for reporting. Reports can be designed with iReport – a JasperReports graphical tool – in a very intuitive way and then opened in opentaps and executed from there. Integration with Pentaho allows data from various sources, including Hadoop and NoSQL databases, to be loaded into a data warehouse system. Support for the data integration system by Pentaho allows the purely visual design of ETL database operations. The user can then save the visually created transformations and run them in opentaps. An opentaps mini-AMI with functionality for small deployments with up to 10 users (not suitable for e-commerce or MRP inventory planning) at a price of US$ 0.25 per instance and hour. An opentaps full AMI with a full installation at a price of US$ 0.50 per instance and hour. Unfortunately, the AMIs could not be found on the AWS Marketplace; instead, direct links to the vendor's site take you there . Both AMIs offer a preinstalled opentaps environment with a MySQL database preconfigured for production use. To facilitate creating your own company, the installation comes with a turnkey template that does not include any company-specific data. In this way, companies can take the system for a test drive for very little expense and investigate it in detail with regard to their own needs. For permanent use, however, the use of reserved EC2 instances is recommended to reduce operating costs. Despite its many strengths, opentaps is perhaps not everyone's darling. If you want flexibility to choose the individual components of the system yourself, you are better served by Apache OFBiz. If you are looking for a powerful CMS system, you might be better served with a combination of Apache OFBiz and Magnolia CMS instead of opentaps. ERP5 is a popular middle-market solution that covers all the typical functional areas of an ERP system, from sales, inventory management, salary calculation, personnel management, product design management (PDM), CRM, and e-commerce through accounting. ERP5 also provides some customized, integrated solutions for markets such as aerospace, fashion, and banking. In particular, the solution scores points in the healthcare and public administration sectors (Figure 3). 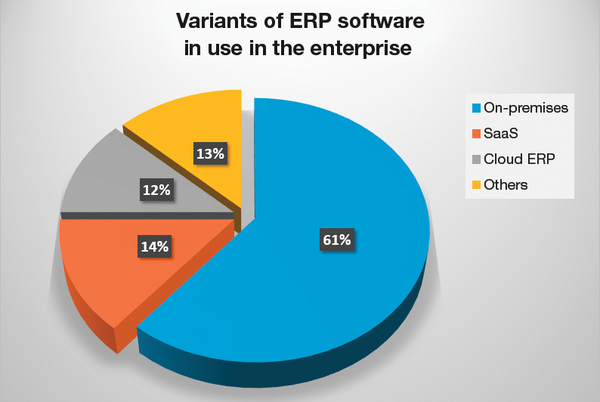 Figure 3: Variants of ERP software in use in the enterprise (source: ERP Report 2013 by Panorama Consulting Solutions). The system, which was developed in Python, uses the Zope application server as its base on Linux, Windows, OS X, and other Unix derivatives. Connectors to relational databases include MySQL, Postgres, SQL Server, IBM DB2, and Oracle. However, a weakness exists that is not to be underestimated and that has raised concerns among many users: the clear stagnation in the evolution of ERP5. Although nothing is technically wrong with ERP5, enterprise users rightly expect a solution to be future-proof, and ERP5 cannot offer this, despite all of its features. 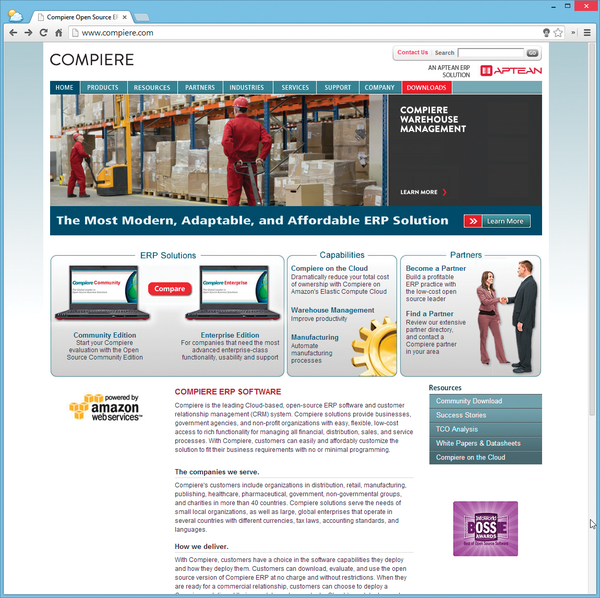 Compiere is a fairly ancient, enterprise-class, open source ERP software. Compiere was written by Jörg Janke and Kathy Pink. Compiere's model-driven architecture (MDA) was a unique feature of this solution for a while and is one of its strengths from the administrator's point of view even today. Thanks to MDA, the system administrator can modify the table structure of the relational database, add optional validation rules, and enter data without writing procedural code or dealing with SQL syntax. The MDA architecture supports storing data structures, form appearance settings, and business logic references in a user-specific database. Compiere stores minor adjustments (e.g., parameters of forms, reports, and workflows) as metadata in a database so that any authorized user can retrieve and change these settings. In terms of adaptability, the system goes a step further: Thanks to the J2EE, underpinnings, any kind of complex logic can be persistently retrofitted. The functionality extended in this way automatically inherits the relevant properties of the core system. Configuration-driven triggers of any adjustments are stored in the database as metadata. The flexible architecture enables the installation of updates without the need to upgrade company-specific adjustments. Compiere was one of the pioneers of ERP. Unfortunately, a period of robust growth, which reached its peak with 1.4 million downloads, was followed by turbulent times for Compiere. The current owner, Aptean, was created from a merger of CDC Software and the software forge Consona, which previously had secured the rights to Compiere through an acquisition. Aptean points to the availability of a cloud edition of Compiere on AWS. Unfortunately, we were unable to find this (Figure 4), which is too bad, because it would give interested IT administrators an option for trying the ERP system with low costs and overhead. Ultimately, that is the idea of a commercial AMI. Interested parties are thus left with no option other than to download the Community Edition, manually install the software package, and battle their way through the database setup. Figure 4: Compiere sports the AWS logo; unfortunately, it cannot be found in the AWS cloud. With Compiere, Aptean addresses small to medium-sized businesses that require particular flexibility in an ERP software. Compiere focuses on business processes rather than on organizational structures and is highly suitable for use in modern, agile, medium-sized companies (large corporations are typically happy with rigid organizational structures and a lower degree of flexibility). Incidentally, the word "compiere" comes from Italian and means to do or accomplish something. Compiere provides multiple vertical market solutions for companies in the distribution, retail, manufacturing, and service sectors. The scope of services includes finance, management of distribution channels and production processes, calculation of the order costs/project-specific accounting, and sales via e-commerce and point of sale. The suite supports Linux and Windows. The supported databases are Oracle Standard Edition/Enterprise Edition/XE or Postgres Plus Advanced Server/EnterpriseDB. Access to Compiere applications is via a Java client (currently compatible with Java JDK 1.6/7) to allow desktop users a free choice of platform. In the Community Edition, unfortunately, mobile users with tablets and smartphones are left out in the cold, because only the Enterprise Edition provides a browser-based user interface. Also, only Enterprise Edition users are given access to the latest bugfixes and can currently enjoy version 3.8.3 from 13 February 2014, rather than having to make do with the very outdated version 3.3 from March 2, 2009, like the users of the Community Edition. In its turbulent history, Compiere has repeatedly changed hands. The successful and robust model-driven architecture in conjunction with the open source nature of the software have now – to the indignation of many open source developers who specialized in Compiere – opened the floodgates to countless imitators who draw heavily on concepts introduced by the pioneer of open source ERP software. Among others, the developers of the ERP systems ADempiere, Adaxa Suite, iDempiere, and Openbravo have made heavy use of the Compiere code base.